Planning a Road Trip with Your Family Doesn't have to be Torture. 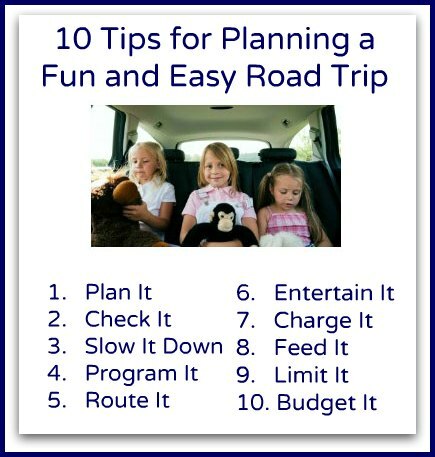 Check out our 10 Tips on How to make the vacation idea - a family road trip - fun and easy! 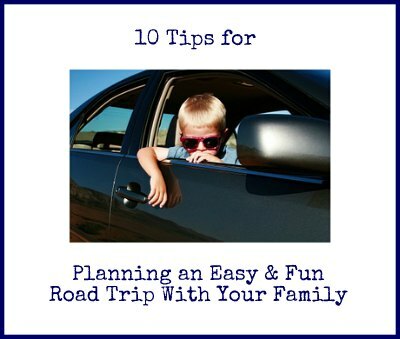 10 Tips for planning a road trip with the family. Make this vacation idea a great memorable experience for everyone! While it takes 24 hours of driving, if the weather and traffic are good, we usually enjoy the drive. We try to make it fun by incorporating many of the tips you will find below. We have driven to Florida at least 7 times, and when I was a kid my family drove at least once a year (it was a cheap and easy holiday). I have great memories of all the toys falling out of the back seat of my parents Pontiac at a rest stop, or looking for the an International House of Pancakes for breakfast so we could play with all the different types of syrups! 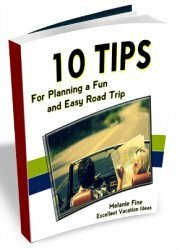 Over the years I have come up with some tips on planningn a road trip and how to make the drive easier and fun. With the price of airline tickets and the hassle of flying these days many people are electing to drive for their vacation instead of flying. If you have a tip to add please feel free to in our Facebook comments section below. Plan the Road Trip with the whole family. Call a family meeting to sit down and discuss when, where and how you are planning on going for your next road trip away together. Let everyone choose a "rest stop". Whether it be their favorite restaurant to stop at for lunch, or have them research some of the possible roadside attractions along the way. 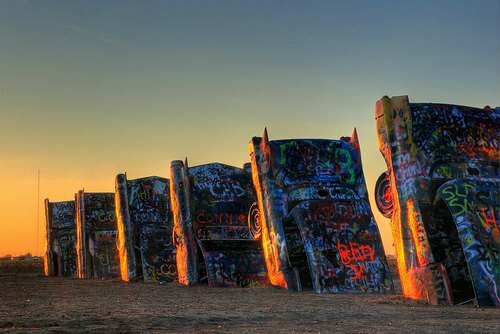 For example if your kids love cars, or art for that matter and you are travelling through Amarillo Texas, why not work in the "Cadillac Ranch" created by the artist group "Ant Farm". Not only can you enjoy it, they want you to add to it, so don't forget your spray paint! 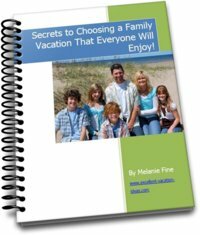 For more idea download our free eBook "Secrets to Choosing a Family Vacation Everyone Will Enjoy"
Make sure you have your vehicle checked out by a mechanic before you leave. The last thing you want is to have car trouble while on the road. Nothing can make a fun car trip more miserable then car troubles! Make sure they check your vehicles fluid levels, air pressure, oil (make sure it doesn't need to be changed or will need to be changed while you are on route), your tires, air filter, lights and signals, and make sure that you have an up to date and full emergency equipment kit (including an up to date paper map, cell phone, chargers, spare tires, tools, flashlights, medical kits and fire extinguishers). Take your time when planning your road trip and plan a route that allows you to see some things along the way. For example one year we drove to Florida from Toronto, via Hershey Pennsylvania and Washington DC. Instead of taking the 2 days to drive, we took 3 nights and spent part of the day at the Hershey park with Montana and our nephew Jamie. It was Christmas time, so it really was fun. We then took a morning near Washington DC and went to see the White House. Jamie thought it was so cool. 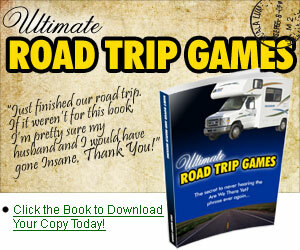 It made their road trip even more fun and we created some great memories! Planning a road trip with a GPS makes it more accurate and more fun! Get the kids to help you program it. Kids love to see the miles or kilometers count down to your arrival at your destination. Put in all of your way points (places you want to stop along the way. If you don't have a GPS in your vehicle you can buy them at pretty much any electronics store, or Buy a GPS at Amazon.com . Before we had a GPS in our car, we used a TomTom. We even take it with us when we are travelling and renting a car. As we are from Canada and travel to the USA a lot, we could use our iPhones and Map software, however the data roaming charges can get quite expensive, so we bring our TomTom with us and it hasn't failed us yet! Make sure that you have paper maps and/or a road atlas just in case something goes wrong with the GPS (happened to us when we were travelling to Northern Ontario. It took us the shortest route, but it wasn't the best or easiest to drive). - one a couple of hours after we stop. This is to give us some flexibility. Recently, we ended up using our early stop option as we drove through some horrible storms and bad traffic in 2 city centers through Ohio. This exhausted us and put us behind in our planned timing. We had the dog with us, so we knew we had to find a hotel that accepted dogs up to 70 lbs (try Hampton Inns but call first as not all Hampton Inns take dogs, or dogs of that size). I had called 3 hotels on our route to make sure that would have options, one in Lexington Kentucky, one in Corbin Kentucky and one in Knoxville, Tennessee. After some thought we decided to call it a night and book into the Hampton Inn on I75 in Lexington, Kentucky. We were all exhausted, so I took Gracie for a walk and we called it a night early. We woke up early and off we went and made it to Florida that night. Plan the time you will be in the car to be entertaining. For example during your first hour on the road the kids will be excited and entertained to be on their way. During the second hour, they may start to get a little bored, so this may be game time. When they start to get bored of the games, then it could be movie time (take a DVD player, iPad or laptop to watch DVD's on if you don't have one in the car already). The point is that you want to have enough activities to make the drive fun and entertaining. Happy and entertained kids make for an easy and fun drive. Many of the tips for flying with kids apply to taking a road trip with them as well. I am surprised at how many times I forget to charge my electronics, and I am sure other people are the same. Thankfully Warren makes sure that we have lot's of chargers in the car for my iPad, and iPhone. You want to make sure that you have a way to charge your electronics while travelling in the car. Better yet, make sure that you have all electronics are charged before you leave. You don't want the kids fighting for a charge up for their GameBoy when you only have one car charger. Another great gadget is to have a Power Inverter that works with the car's cigarette lighter. It allows you to plug in an electronic like you are plugging into a socket at home. You may even get 2 outlets on the inverter. While planning your road trip remember to charge your electronics - especially your GSP and phones! Make sure you pack great snacks, both healthy and not so healthy. Not that we are advocating eating junk food, but sometimes a snack that your kids (or you for that matter) don't get to eat too often can make the drive more fun. This tip is especially great for those times when you know you want to keep driving for another hour and the kids are getting restless. Bring a cooler so you can bring watermelon, cherries, apple slices, pudding or yogurt. Or if your kids love Doritos and they never get to eat them, then here is their chance! (another tip - don't let your kids know what you packed - otherwise you might hear from the back seat "Are we there yet?" AND "Can I have the doritos NOW puleeassseeeee!). 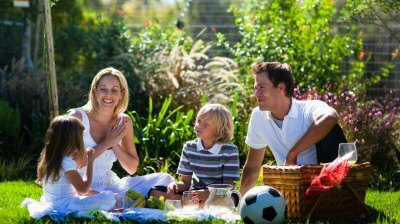 While drive thrus are fun, and can probably take some of the boredom away, pack a fun picnic for everyone to enjoy. Many State run rest stops now have clean bathrooms, playgrounds, picnic tables, BBQ pits so you can make hot dogs and hamburgers, and some have WiFi! Family vacations are a time for you to spend time together as a family. It would be easy to give the kids the DVD collection of iCarly for them to watch the whole way, or a new game for the GameBoy, but you may as well be at home if your family spends the whole trip on their iPods, DVD players, iPads or other electronics. So allow them to use them, but limit the time that they get to use them. Plan activities that you can do together in the car, like play a game together or listen to an audio book together and discuss it. Maybe spend some time telling family stories or history or give the kids pipe cleaners and ask them to create something out of them. Some of my best memories were playing iSpy or 21 questions with my parents on road trips to Florida. Even now as an adult if I end up in the car with my Dad for longer than 1/2 hour I try to start up a game! Yeah I know, budgets ick! But the last thing you want to do is spend all of your budget just getting to your destination. Some expenses are hard to avoid, like gas, but others aren't. Even gas can be reduced if you do some research before you go. Look into the costs of hotel rooms on route, chances are hotels rates will be less in smaller towns then in city centers. It may mean only driving another 50 miles to save $30-40 on hotel rooms. That could be half a tank of gas. Also choose hotels that include breakfast. That helps to reduce your food costs, especially if you have a large family travelling with you. Limit the drive thrus...not only are they not all that healthy, they are expensive and the food will make you sleepy. Research gas prices before you go. We find that gas prices are cheaper in Tennessee than Ohio or Kentucky when driving to Florida. When I was young, my parents gave me the job of budgeting a trip to Florida. I was responsible for tracking all of our expenses and telling my Dad if we had spent more than we budgeted for. I had an envelope to keep receipts and to record the amounts we spent, and a calculator to add them up. It was fun for me (as a budding accountant), I learned a lot and we stayed in budget! So there you have it, our 10 tips to planning a road trip! We would love to hear your tips! Please feel free to comment here on our FaceBook Comments. For us it was a 2-3 day trip. We did it almost every year when I was a kid, and as an adult with my own family we do it as well! Florida has fun adventures for the whole family. Amusement parks, beaches, resorts, what more could you ask for? What a great road trip destination. You could drive to New Jersey, stay in a hotel there and take the train into Manhattan. Imagine Central Park, shopping, Times Square, and all of the fun attractions and things to do in New York City as a family. Check it out.